During World War II women took on railway roles which were completely new to females. They worked as porters and guards, on the permanent way, and in maintenance and workshop operations. 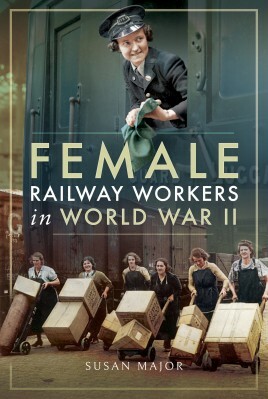 In this book Susan Major features the voices of women talking about their wartime railway experiences, using interviews by the Friends of the National Railway Museum. Many were working in ‘men’s jobs’, or working with men for the first time, and these interviews offer tantalising glimpses of conditions, sometimes under great danger. What was it about railway work that attracted them? It’s fascinating to contrast their voices with the way they were portrayed in official publicity campaigns and in the light of attitudes to women working in the 1940s. These women talk about their difficulties in a workplace not designed for women – no toilets for example, the attitudes of their families, what they thought about American GIs and Italian POWs, how they coped with swearing and troublesome colleagues, rules about stockings. They describe devastating air raids and being thrust into tough responsibilities for the first time. 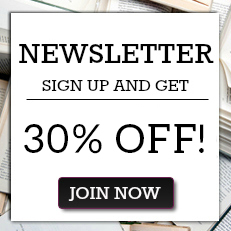 This book fills a gap, as most books on women’s wartime roles focus on the military services or industrial work. It offers valuable insights into the perceptions and concerns of these young women. As generations die out and families lose a direct connection, it becomes more important to be able to share their voices with a wider audience. Susan Major completed a PhD with the Institute of Railway Studies & Transport History at the University of York in 2012. Drawing upon material from the National Railway Museum and the British Library, she focused on early railway excursions. Her book based on this research, Early Victorian Railway Excursions, was shortlisted for the Railway and Canal Historical Society Book of the Year Awards 2017. Susan was a programme consultant for the BBC series Railways: the Making of a Nation, taking part in the episode on leisure. She is retired and lives in York.